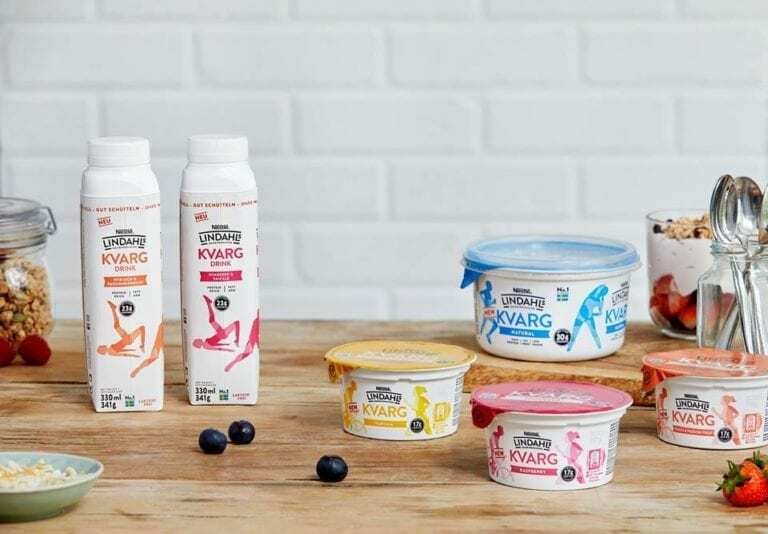 Nestlé Lindahls Kvarg has recently launched in the UK – a great tasting, high protein dairy product from Sweden that is now available here in the UK. Already the number one quark in Sweden, Nestlé Lindahls Kvarg is completely delicious with a creamy texture – similar to Greek yogurt – created to help you lead a balanced, healthy lifestyle. Whether you’re a regular gym-goer or just starting out on a healthy flex, Nestlé Lindahls Kvarg is the perfect partner for your regular workout. Nestlé Lindahls Kvarg Drinks are peach & passionfruit and raspberry & vanilla.